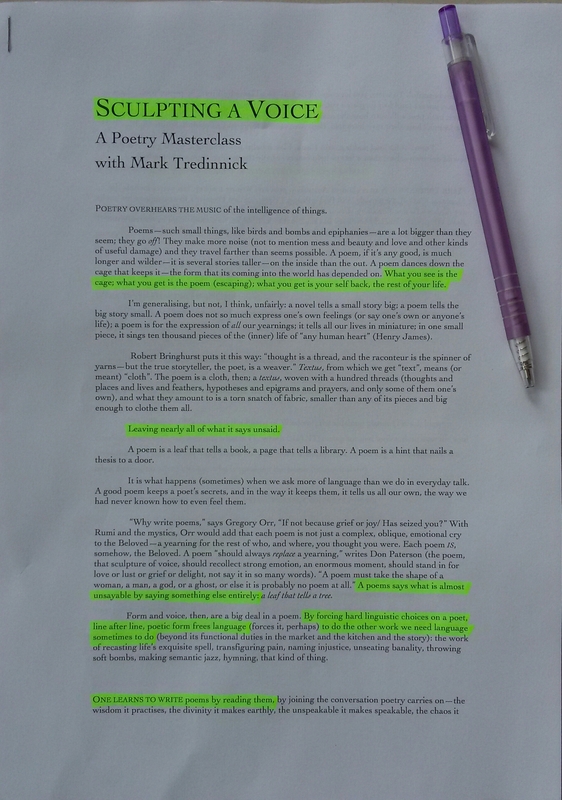 Mark Tredinnick was in town over the weekend to run two workshops at the SA Writers Centre, the second of which I attended to learn about voice in a poem, or quite often, voices. I first met Mark at the launch of Australian Love Poems, which he edited and then again in a workshop he ran last year. 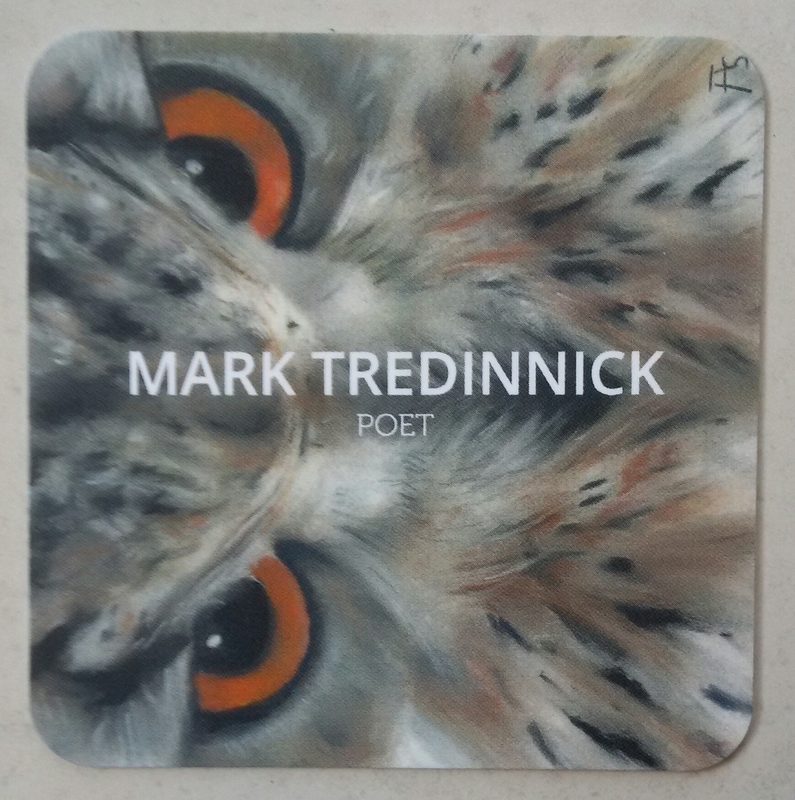 Mark is a brilliant poet with an amazing track record; winner of the Montreal Poetry Prize in 2011 and the Cardiff International Poetry Prize in 2012, author of Bluewren Cantos, Fire Diary, and several other celebrated works of poetry and prose. The workshop explored the discipline of fashioning a poem, the importance of form, voice and language, and the linguistic choices poets are forced to make. Why that form over another, why the line break there, why that word instead of this one – these were just some of the questions posed as we examined pieces by John Glenday, Seamus Heaney and Charles Wright. It was thought provoking stuff that generated fascinating discussion and insight, and certainly for me, another poem to develop. And just how fab are Mark’s business cards, puts mine to shame!